I recently spent some time in France and Italy, where I was reminded of two things: pride can be derived from quality work, and passion in one's work, more often than not, is the difference between making something good and something great. These fundamentals are engrained in the cultures of these two countries, and are unmistakably reflected in many of their products, ranging from wines and foods to fine leathers and exotic cars. On my return, I was asked if I’d like to review Classé Audio’s Delta CP-800 two-channel DAC-preamplifier-processor, which appears, on paper at least, to have been designed along these very principles. Having owned Classé products for almost two years now, I know from direct experience that Classé consistently engineers high quality into their products. 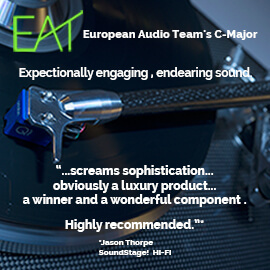 This alone would have been enough for me to accept this invitation, but what really attracted me was Classé’s claim that, fed a 16-bit/44.1kHz digital signal, the CP-800 sounds better than any other CD player currently on the market. Attractively priced at $5000 USD, the Delta CP-800 is a jack-of-all-trades component: it balances functioning as a stereo preamp, digital stereo processor, and D/A converter all at the same time. The 23-pound CP-800 has the same curved Delta-series chassis as its predecessor, the CP-700, and the same dimensions (17.5”W x 4.75”H x 17.5”D), but it has an all-new, 16:9 touchpad with new graphics that provide more controls on fewer menu pages. The front of the CP-800 is clean and uncluttered, with only three small buttons, cleverly camouflaged in the touchpad’s black aluminum surround. To the far left is a small Power button, and another offering direct access to the main menu. To the right of the touchscreen are a Mute button, an asynchronous 24-bit/96kHz USB input dedicated to Apple portable devices, and a full-size headphone jack. 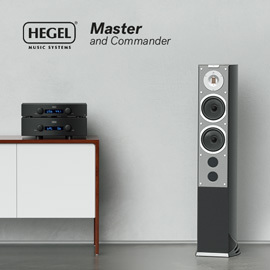 At the far right is an encoder-type volume control with Classé’s usual large, heavy knob of black aluminum. The volume knob has been optimized and felt better than the one on the CP-700 or even my Classé Delta SSP-800 surround processor, responding more directly to changes during both quick and slow movements. The CP-800’s rear panel is equally well organized, in two horizontal sections. At the far left top are a rocker Power switch and a grounded IEC outlet, followed by eight digital inputs (one AES/EBU, three coaxial, four optical) and another asynchronous 24/96 USB input, for connection to a computer. These are followed by IR and power trigger inputs and outputs, an RS232 jack, and two Ethernet jacks for use with Classé’s CANBUS communication system. A third Ethernet jack awaits some future assignment. On the rear panel’s lower half are, from left to right: three unbalanced and two balanced pairs of analog inputs, pairs of balanced and unbalanced outputs, and three auxiliary balanced and unbalanced outputs, the last configurable for biamping a pair of speakers or for attaching additional subwoofers. Removing the review sample’s cover revealed four six-layer circuit boards in a thoughtful arrangement: The power-supply board, which is home to Classé’s new switch-mode power supply (SMPS), is as far as possible from any of the other boards. This is important -- power supplies are notoriously noisy. Directly behind the touchscreen, and connected to the display by a single ribbon cable, is the small circuit board that holds the microprocessor. At the rear, on the bottom, the third and largest board is connected to the microprocessor board by two ribbon cables. On the big board are the A/D and D/A converters, and the DSP and analog circuits. Directly above that board, connected to it by two more ribbons, is the fourth and final board, dedicated to the digital input circuitry. I found the CP-800’s display easy to use, responsive, and intuitively laid out -- I was able to do most of the setup without even opening the instruction manual. The CP-800 is unique in that it offers both tone and tilt controls, as well as a home-theater bypass that can be assigned to any of the inputs. 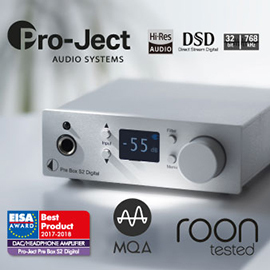 The CP-800 is also one of the first preamplifiers to offer full compliance with Apple products: you can stream music from your Apple device via a USB connection and charge it as you listen. The CP-800’s remote control is fully backlit and made of solid aluminum; it’s heavy and solid in the hand, and its keys responded quickly and precisely. How can Classé offer so many features in a product claimed to not only outperform the CP-700, but all other conventional CD players, for $2000 less than the price of its predecessor? The answer boils down to advanced technology, painstaking engineering, and efficient use of parts. The CP-800 is a completely new product for Classé, and shares nothing with the CP-700 other than part of its basic chassis. It does away with the CP-700’s standalone linear power supply, replacing it with the new onboard SMPS. Smaller, lighter, and more efficient, the SMPS is said to offer tremendous performance advantages by not introducing harmonics or other noise into the audio circuits. The specifics of the design are proprietary, but one thing Classé told me was that the SMPS makes use of something called Zero Volt Switching (ZVS), which is based on switching at a minimum rather than a higher DC voltage; the claimed result is lower noise, reduced RF output, and higher efficiency. To further lower noise and improve sound quality, Classé paid attention to the CP-800’s power delivery as well, in particular its power factor. Power needs to be delivered in phase. To guarantee that this happens, Classé developed a power-factor correction (PFC) circuit that manages the system power load and balances it with the voltage supply, resulting in a near-perfect sinusoidal waveform (in phase) and yielding a power-factor rating of more than 0.95. Classé also paid particular attention to causes of noise outside the power supply. In implementing their asynchronous USB input, Classé galvanically isolated the microcontroller from both the input and the audio circuit to ensure the quietest possible transfer of data and eliminate any possibility of noise induced by the source component. Both of the CP-800’s USB inputs are asynchronous, meaning that the clock in the CP-800’s microcontroller controls the transfer of data from the peripheral device and not the other way around. Classé deviates from the norm in having designed and implemented their Single Clock Substrate (SCS), which employs a high-speed field-programmable gate array (FPGA) between the master clock isolators and the DACs. The FPGA accepts and buffers data from the USB microcontroller on the digital input board. (Classé ensures that the FPGA processes data at whole multiples of its original frequency.) Data are then sent to the DACs synchronously from the master audio clock of the FPGA, which is also in sync with the data pouring into the buffer from the USB microcontroller’s asynchronous transfer algorithm. Confused yet? I was. At the end of this process, Classé claims, the digital information arrives at the DACs with unprecedented timing accuracy. The data are then converted to analog. When the CP-800 is used strictly as an analog preamp, whether via its balanced or unbalanced inputs, all signals are kept isolated at all times, never sharing the same silicon. 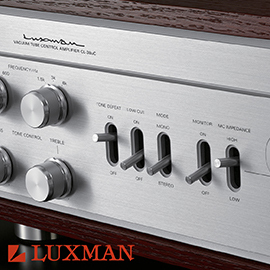 Being a true balanced design, the CP-800 converts any unbalanced signal to balanced as soon as it enters the circuit. In the CP-800’s simplest mode, Bypass, all clocks are turned off and signals are fed directly to their independent volume controls before output. The volume controls themselves are differential in design, and each channel consists of two Burr-Brown PGA2310 two-channel chips with programmable gain. The CP-800 is clean, simple, and designed well enough to provide a signal/noise ratio of 104dB -- a digital or bypassed source will be processed or passed along with a total harmonic distortion of only 0.0005%. The CP-800 also lets you connect and control a subwoofer without digitizing your analog signal, so long as you need no bass management. If you do want bass management, the CP-800 will convert the incoming analog signal to 24-bit digital data using a Cirrus Logic 5381 ADC chip, and allow you to run up to two subwoofers and adjust crossover slopes. Should you want to take advantage of the CP-800’s onboard parametric equalizer to compensate for room modes, or use the tone controls with or without the tilt option, the signal will be further processed by twin Analog Devices DSP chips before being sent to a pair of multibit, two-channel, differential Wolfson WM8741 DAC chips for conversion to analog. 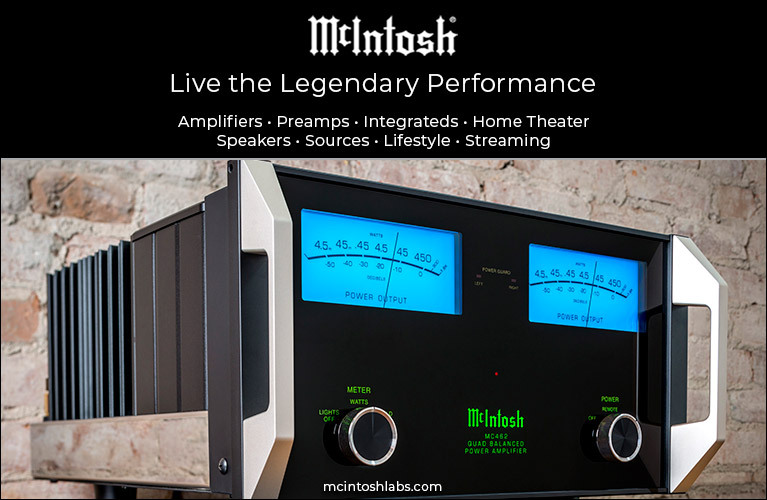 Classé uses one DAC per channel, and notes that they operate at either 176.4kHz or 192kHz, depending on native input. Processing an analog signal will affect the noise floor slightly, resulting in a still-respectable signal/noise ratio of 101dB, but a higher THD of 0.004%. When I fed the Delta CP-800 a direct analog signal from my Ayre Acoustics C-5xeMP universal disc player, I was treated to an expansive, engrossing soundstage full of detail and nuance. Keith Greeninger and Dayon Kai’s live acoustic rendition of “Looking for a Home,” from Sony’s AR1 SACD demo disc, which I picked up at the 2012 Consumer Electronics Show, sounded alive and three-dimensional. Greeninger’s voice and acoustic guitar were placed dead center, with so much palpability and air that I got up, grabbed my wife, dimmed the lights, and said, “Hey, listen to this!” Halfway through the track, she opened her eyes: “Wow, it’s like a smooth wine.” An apt description -- the speakers seemed to disappear from the room, whose walls seemed to melt away. Details such as Kai’s guitar slides, emanating from right center stage, could easily be heard throughout the entire track; normally they fade in and out, depending on what else is happening in the mix. Due to the CP-800’s incredibly low noise floor, I could now more clearly hear the subtle thud of Greeninger’s foot tapping during tempo swings, which drew me into the music all the more deeply. From the same sampler I played another recording rich in ambient detail -- David Elias’s “The Window” -- and was treated to a meticulous portrayal offering tremendous instrument specificity and arresting dynamics. Starting off with a combination of Dobro, acoustic, Weissenborn, and lap-steel guitars being plucked and manipulated in unusual but fascinating ways, “The Window” evolves to include the subtle shimmers of brushed cymbals. About two minutes into the song, Elias’s acoustic guitar emerges as the lead as the others fall away; then his voice enters at center stage, sounding a lip’s distance from the microphone. Elias’s voice was focused and robust, his singing emotionally evocative through his use of microdynamics, with an impressive sense of texture. Dynamics were handled effortlessly, never sounding compressed, though I did note that the CP-800 was not quite as fast as, say, a Parasound JC-2BP ($4500). Before tinkering with any of Classé’s processing options, I needed to listen to some 16/44.1 recordings, as this is the CP-800’s claim to fame. I also wanted to hear some women’s voices though it before I began comparing the allegedly inferior analog output of my reference CD player, the Ayre Acoustics C-5xeMP. So I cued up “I Used to Love You But It’s All Over Now,” from Diana Krall’s Glad Rag Doll (CD, Verve B001719102). I could immediately hear the performance limitations of this “Red Book” CD compared to SACD, which indicated just how transparent the CP-800 was. The overall sound was still neutral and open, with a decent sense of detail, but subtleties such as Krall’s breath and the quick decay of her acoustic piano were not as easily depicted as they would be from a high-resolution recording. That said, Krall’s voice sounded large, filling the center stage, while her piano on her right and Dennis Crouch’s double bass on her left rounded out the picture. Hearing this again brought to my attention the CP-800’s transparency -- large-scale voices are more a characteristic of the Ayre than the CP-800. The double bass sounded rich and full, with good articulation and presence, and Marc Ribot’s acoustic guitar, from left stage, had bite and decent dimensionality. Content with my impressions of the Delta CP-800 when used strictly as an analog preamp, I tested the Classé’s digital section. Changing nothing other than invoking the CP-800’s EQ resulted in two obvious changes: greater focus and improved bass control. The bass performance was partly enhanced by the CP-800’s correction of a nasty 50Hz mode in my room, but beyond that, image focus, solidity, and dimensionality were all markedly improved. With the CP-800 holding the reins, music sounded cleaner, clearer, more real. The presentation of details was on a par with my reference Ayre CD player, but again, those details simply sounded more real and in the room. Krall’s voice now sounded smaller, closer to how it would sound if she were sitting in front of me, and her piano sounded less reproduced. Despite the fact that the CP-800 was converting the analog signal to digital, processing it, then reconverting it to analog, I could hear no difference in the noise floor. This was the last time I would use the CP-800 as an analog preamplifier of standard CDs. Instead, I quickly set up one of the CP-800’s inputs (very easy to do) to accept digital signals via AES/EBU from the Ayre, and configured the CP-800’s front USB input so that I could plug in my iPad and stream Apple Lossless files. At first I was hard-pressed to hear a difference between a processed analog signal and a bitstream sent from the Ayre. After a while, however, I began to realize that when the CP-800 was fed a bitstream, the soundstage was a bit smaller, but images on that soundstage were slightly more palpable and, again, more focused. I also noted that the overall sound seemed to have a hint more liquidity that was decidedly more analog than digital. Comparing Apple Lossless files from my iPad to a bitstream from my Ayre, the only difference I heard was a slightly higher noise floor from the former. Classé was right: With 16/44.1 files, the CP-800 sounded better than my reference CD player. But what about hi-rez recordings? I waded through my collections of CDs and digital files, looking for recordings for which I had duplicates: hi-rez downloads and a DVD-Audio or SACD. Using the USB input on the back of the CP-800, I streamed a 24/192 version of “Auld Lang Syne,” from Rebecca Pidgeon’s Retrospective, and compared it with the SACD (Chesky SACD242). The differences were no longer cut and dried -- the two versions had similar levels of image focus, palpability, and dimensionality. Piano notes sounded bigger and bass felt heavier through the Ayre, but the saxophone had more bite and dynamic drive with the CP-800 processing the hi-rez signal. The CP-800’s inky-black background sounding slightly darker, which let instruments sound more tangible and dynamic, giving them a greater “in the room” presence. The drawback to this hint of darkness was that I could hear microdetails a bit more easily through the Ayre. The only other preamplifier I had on hand for comparison was Classé’s own Delta SSP-800 ($9500). At nearly twice the CP-800’s price, the SSP-800 is one of the best-sounding A/V processors on the market, and not only because it sounds great with movies -- it sounds just as good with music. Until the CP-800 arrived, I’d been using the SSP-800 as my reference two-channel preamp. To properly compare the two, I followed the same procedure I’d used with the CP-800. Feeding the SSP-800 an analog signal via its balanced inputs, I listened to “Looking for a Home”: Greeninger and Kai’s acoustic guitars had more bite through both the CP-800 and the Ayre than through the SSP-800. The CP-800 also better reproduced voices, as microdynamics were more clearly conveyed. Listening to David Elias’s “The Window,” I heard similar advantages; the guitar slides I’d noted earlier were again sometimes hard to hear through the SSP-800, which offered a bit less dynamic punch. The SSP-800 still sounded great -- better than any home-theater processor has a right to -- but the CP-800 sounded better. When I fed the two Classés a digital signal, images lacked a focus through the SSP-800 that they had through the CP-800, and appeared on a smaller soundstage -- but I’m talking feet, not meters. I could easily continue living with the SSP-800, but the CP-800 -- with its tremendous input flexibility, retrieval of detail, dynamic prowess, and lack of digital sound -- gives me compelling incentive to upgrade. Finding a weakness in Classé Audio’s Delta CP-800 proved to be a challenge. In fact, I didn’t find any weaknesses per se, but rather, things I would like to see in the future. For example, if Classé were to implement a streaming component to make use of that extra Ethernet connection, the CP-800 would pose an almost unbeatable threat to its present competitors and could enter a whole new realm of competition. Until that day comes, the CP-800’s interface, functionality, and versatility are second to none. Its build quality is exemplary, and its sound quality as an analog preamp is, to my ears, matched only by Parasound’s JC-2BP. Used as a DAC, the CP-800 will likely make your CD player obsolete, and it does an excellent job of reproducing high-resolution recordings as well. If you’re looking for a new preamp or DAC, you owe it to yourself to audition the Delta CP-800, even if you’re shopping north of $5000. I won’t be sending the review sample back -- it not only possesses outstanding levels of quality and performance, it evokes passion, and that’s a rarity I can’t afford to ignore.